Support This Bill. Right now. If you live in Connecticut: Write your legislator! Over the next two weeks, the Connecticut legislature will consider SB 106. 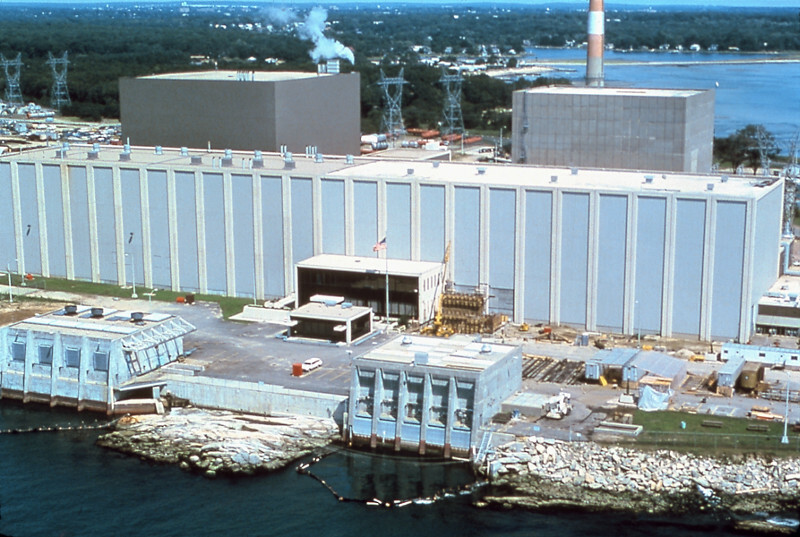 This bill will provide financial relief for Millstone Power Station, which produces enough power for two million homes. The same bill will also encourage Connecticut's fuel cell industry. 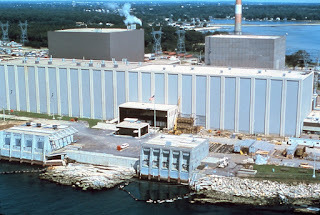 If you live in New England but not in Connecticut, read NEI's post With Nuclear Plants Closing, Fears Grow for Stability of the New England's Electric Grid. Be prepared to defend your local nuclear plant. Well, it's complicated. While other bills (such as New York State's Zero Emissions Credits) mandate clean energy payments for zero-emission power plants, Connecticut SB 106 just allows Millstone to bid into certain types of auctions under the same circumstances as other zero-emission plants. Under this bill, Millstone will be allowed to present proposals to supply energy, and those proposals will be reviewed by the Office of the Consumer Counsel, the Commissioner of Energy and Environmental Protection, and the Attorney General. (Among others...later these proposals must also reviewed be by the state Public Utilities Regulating Authority.) There are no guarantees for Millstone written into this bill. Frankly, I think you have to be some kind of Connecticut-power specialist to figure out this bill in its entirety. 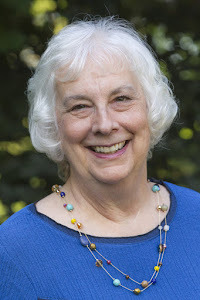 Here is a link to the SB 106, as it exists now: An Act Concerning the Diversity of Baseload Energy Supplies in the State and Achieving Connecticut's Greenhouse Gas Emissions Mandated Levels. This bill levels the playing field. It allows Millstone to bid, along with other low-emissions suppliers. Naturally, allowing Millstone to bid has infuriated many companies. This is why you should write your legislator, right now, if you live in Connecticut. There is plenty of opposition. Basically, the fossil industry is opposing this bill. In February, Luther Turmelle wrote about this proposed legislation in the New Haven Register: 2 Connecticut energy bills aim to help Millstone owner, spur fuel cell use. His article described the opposition, which includes Calpine, Dynegy, NRG Energy, and the Electric Power Supply Association. In other words, the opposition includes the fossil power plants in Connecticut. These companies and associations represent the plants that do not meet the low-emissions criteria set by Connecticut for energy proposals to be submitted under this bill. The problem is that it is spring, and state legislatures either pass bills before adjourning, or...the bills don't pass. For the sake of the environment, we want this bill to pass. Time is short. Write your legislator! Each year, the Nuclear Energy Institute and North American Young Generation in Nuclear (NAYGN) jointly sponsor the NEA Nuclear Energy Assembly. At NEA, Monday includes the the NAYGN Professional Development sessions (open to all attendees, not just young members). The Supplier Expo and "Top Innovative Practices" awards are more industry-oriented. These more general events started Monday night and continued to Wednesday, according to the program calendar. This year, the conference started this Monday, May 22, and ended Wednesday, May 24. I was moved to see the emphasis on advocacy at this conference. In the NAYGN portion of the conference, there was an afternoon session on Effective Storytelling, described this way: Attendees will hear from panelists on effective strategies in storytelling and industry branding to explore new ideas in how we should be talking about nuclear energy and best practices in reaching a broader audience on issues important to the industry. Wow. I wasn't at the conference, but just this description stirs my heart. And there's more. 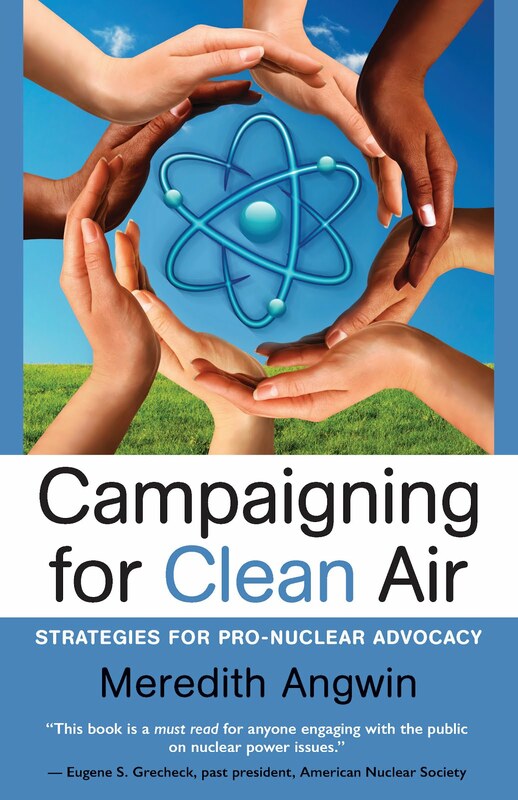 At the main conference (the NEA portion, not the NAYGN portion), the president of the Nuclear Energy Institute, Maria Korsnick, unveiled a "Wide-ranging Nuclear Advocacy Effort." This national outreach strategy will appeal to a wide range of advocates. Here is a link to an article about her speech. But I can't resist one quote: "We have stepped up our advocacy effort not just a notch or two, but by a great margin." I am so pleased to see this new policy. 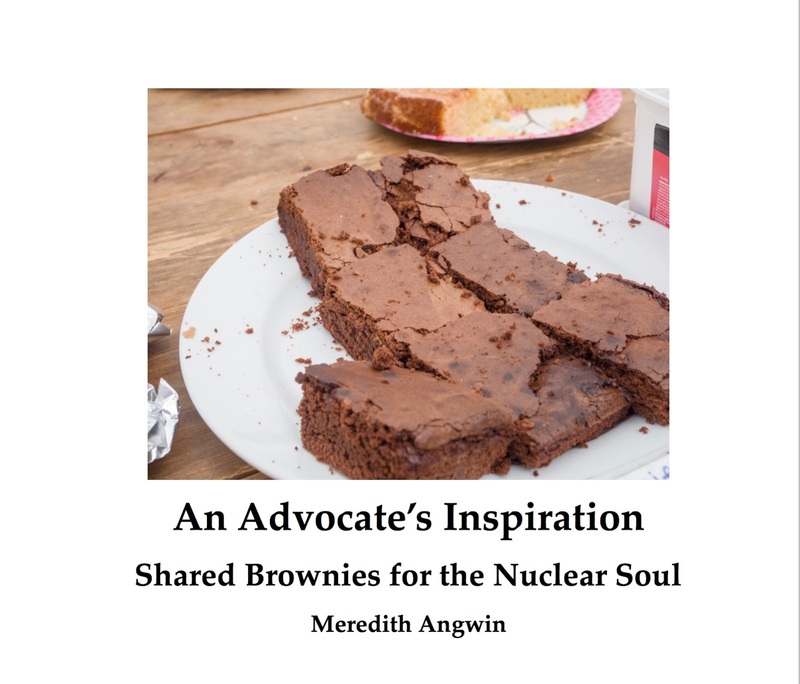 Nuclear needs a wide range of advocates. I was not at the NEA meeting but my book was there! Campaigning for Clean Air was given out in the NAGYN welcome packets. If you registered for NAGYN, you received my book! NAYGN bought the book from me (bulk purchase with a discount) and distributed it. It's hard to even write about this, because I am so happy. But please understand, there was a lot of emphasis on advocacy at the meeting, at panels and announcements and more. My book was just one part of the advocacy events at the meeting. But still: my book was there! Mothers For Nuclear posted on Facebook about receiving my book in their packet. I headed this post with a screen shot of this posting. What can I say? 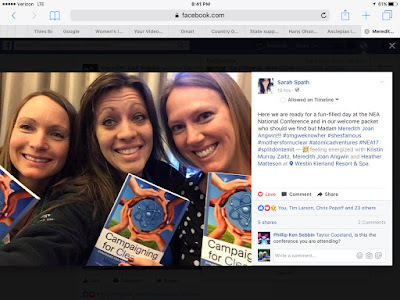 I can only say Thank You to Kristen Zaitz, Heather Matteson and Sarah Spath for their posting, and Thank You to everyone at NEA for advocating advocacy! Bonus Book: Inspiration and Brownies! In May, when you buy Campaigning for Clean Air, you will get a bonus: a short book of inspirational essays– “An Advocate’s Inspiration: Shared Brownies for the Nuclear Soul.” This bonus will only be available in May. To get the bonus book, buy Campaigning at Amazon, and forward the receipt to me at mjangwin at gmail. Please share this offer with your friends and with other groups. I would love to send out lots of the short, sweet, inspiration book! I am putting this offer together so people will click: Buy. It's a marketing thing. Yes, it is. But "An Advocate's Inspiration" is a book from the heart. You will enjoy it. Also, if you bought Campaigning earlier, please send me the receipt and I will send you "An Advocate's Inspiration." The end-date of the offer is to encourage new buyers, not to discourage my friends who bought the book earlier.